Art is a daily part of life. From the mug that you drink from, plate that you eat out of, jewelry that you wear, tables that you work from, there is a reason why you choose them over other ones. In our increasingly fast-paced world, we invite you to slow down and reexamine your surroundings and your routines this holiday season. 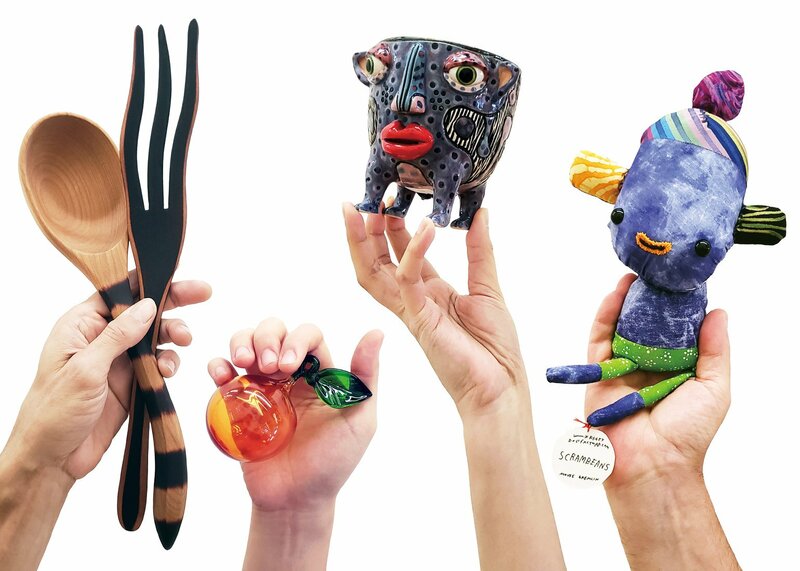 Feel the tactile surface of handmade tableware, express yourself with the uniqueness of artist-made jewelry, and let us celebrate the functional artworks that you and your family can enjoy everyday. CRAFTED is an annual Contemporary Craft Store showcase and a holiday sale featuring functional artworks that encourages people to reflect on the relationship between the objects we use and the enjoyment they bring to us. This year’s CRAFTED will widen its focus to feature handcrafted ceramic wares, home decor, and wearable art (jewelry & apparel) by more than 30 artists from all over the US. Don’t miss CRAFTED to shop and gift artfully this year’s holiday season. The opening of CRAFTED will also kick off Jewelry Edition Vol. 4, a one-month only, pop-up sale showcasing the work of six emerging and established jewelry artists including, Ashley Buchanan, Raissa Bump, Kat Cole, Hannah Oatman, Tabitha Ott, and Laura Wood. Jewelry Edition Vol.4 will be at Contemporary Craft from November 16 to December 16, 2018. Jewelry Edition was started by jewelry artists Kat Cole and Laura Wood in 2012 as a new type of opportunity for early career artists to gain national exposure. Through their diverse network, the artists are able to offer many different exposure and sales opportunities to the jewelers selected for Jewelry Edition.